ChemotherapyTreatment with drugs to stop the growth of rapidly dividing cancer cells, including lymphoma cells. is an effective strategy in treating many lymphoma patients, however, its toxicity and the growing number of effective novel therapies for lymphoma has prompted researchers to explore chemotherapy-free options for treatment, particularly in indolent (slow growing) lymphomas. Mantle cell lymphoma (MCL) patients, who often live for years in a cycle of treatment, remissionThe absence of disease. Remission does not necessarily indicate that a person is cured. Patients may have complete or partial remission., and relapseA disease that reappears or grows again after a period of remission., are sometimes considered appropriate candidates for a less intensive, chemotherapy free approach. In April 2016, a study exploring lenalidomide (Revlimid) and rituximab (Rituxan) as initial therapy in MCL and authored by Lymphoma Research Foundation grantees was selected as one of the Clinical Research Forum’s Top 10 Clinical Research Achievements for the year. The award, which seeks to recognize research in the United States that accomplishes “both innovation and impact upon human disease,” was presented to the study’s first author, Jia Ruan, MD, PhD of Weill Cornell Medicine, a 2006 Lymphoma Research Foundation Postdoctoral Fellowship recipient. 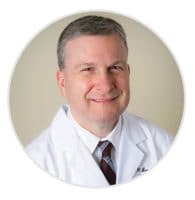 The study’s senior author, John Leonard, MD of Weill Cornell Medicine, is the immediate past chair of the Foundation’s Scientific Advisory Board, and received an MCL Research Grant in 2003. 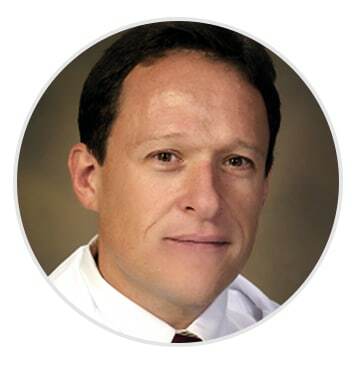 We spoke with Dr. Leonard about the award winning study and its implications for MCL patients. At present, what is the standard initial treatment for newly diagnosed mantle cell lymphoma (MCL) patients? The current initial therapy for MCL is quite variable and depends on many factors. Options range from observation (in patients who have minimal disease burden and are asymptomatic) to chemotherapy such as bendamustine (Treanda) and rituximab or R-CHOP (rituximab, cyclophosphamide, doxorubicin, vincristine, and prednisone) + bortezomib (Velcade), to more intensive regimens such as R-CHOP/R-DHAP and autologousA type of bone marrow or stem cell transplantation in which a patient receives his or her own cells. 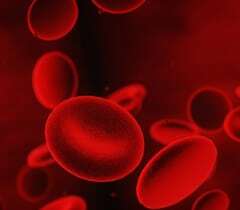 stem cell transplant. Some physicians believe that younger patients (generally under age 60-65) benefit from a more intensive approach including stem cell transplant. Others believe that while such strategies improve the time until disease relapse occurs, the overall survival (how long patients live) is similar with less intensive treatments and therefore that less intensive approaches (with fewer side effects) may be equally appropriate. What was the impetus for designing a trial investigating combination biologic therapyTreatment that uses or stimulates the immune system or other body systems to fight infection. as an initial treatment for people with MCL? Since overall survival seems to be similar with various treatment strategies, we hypothesized that a less intensive, outpatient, “maintenance” approach might give disease response and control for large percentage of patients – allowing them to avoid the more intensive toxicity of chemotherapy. Additionally, we wanted to explore the application of newer, non-chemotherapy treatments (in this case lenalidomide) as part of initial treatment rather than waiting until disease relapse. Please describe the trial, and its results, for our readers. We treated 38 patients with oral lenalidomide for three weeks of every four on an ongoing basis with an induction and maintenance phase (where doses were adjusted). Rituximab was administered once weekly for the first four weeks and then once every two months. Four centers (including Weill Cornell and New York Presbyterian) participated. The patient population was typical for mantle cell lymphoma based on age and disease characteristics. The most common side effects included low blood counts and some patients had rash. At the median follow-up of 30 months, 92 percent of the patients who were evaluable for response had objective tumorAn abnormal mass or swelling of tissue, that can occur anywhere in the body. shrinkage and about two-thirds were in a complete response (no evidence of lymphoma detectable on evaluation). Estimates at two years were that 85 percent of participants remained in remission. A response to treatment was associated with improvement in quality of life. We therefore concluded that combination biologic therapy consisting of lenalidomide plus rituximab is active as initial therapy for mantle-cell lymphoma. Additional follow-up of these patients is ongoing to better assess longer-term outcomes of this approach. What do you feel is the potential impact of this research, both on the understanding of MCL and treating the disease in the future? This research provides an additional option for patients with MCL and represents the first study of a non-chemotherapy approach that is generally of lower intensity than usual initial treatment. The fact that the majority of patients had durable disease control, with good quality of life, suggests that this approach may have value for some patients. Ongoing research will better assess the longer term outcomes with this approach, and how it either compares with or can be combined with other treatments. This study demonstrates the value of potentially using newer agents as part of initial treatment in MCL, rather than holding off until the disease recurs later. You are a member and the immediate past-Chair of the Lymphoma Research Foundation Scientific Advisory Board and a member of the Foundation’s MCL Consortium. What impact has the Foundation or the consortium had on this research, and/or MCL research generally? The Lymphoma Research Foundation has provided key funding to our research and has supported the initial/preliminary studies that led to the development of this trial. LRF supports the best science that can impact lymphoma patients, irrespective of what center is performing the work. The Foundation’s research grants fill in gaps not met by pharmaceutical and federal funding sources, and allow researchers to pursue promising areas that can benefit patients and the field. Grants from the Lymphoma Research Foundation have allowed us to go on to apply additional support in follow-up, including funding from National CancerAbnormal cell growth that cannot be controlled by the body's natural defenses. Cancerous cells can grow and eventually form tumors. Institute programs. Additionally, such support has allowed us to put together the team and infrastructure to conduct this trial and other aspects of our MCL research program at Weill Cornell and New York Presbyterian. Finally, the ability to participate in the Foundation’s MCL Consortium has provided a venue to discuss this research with other MCL researchers and to get feedback and input on the design of new studies. I have enjoyed working with LRF throughout my career. It has been an organization that is passionate about helping patients and solving big problems in lymphoma research, and has helped countless patients. Additionally LRF has links to every leading lymphoma researcher, and is a place where we come together to collaborate and share ideas. What key pieces of advice would you give to a researcher just starting out in their career? I would suggest that new researchers focus on networking in the lymphoma community. There are tremendous number of scientists and physicians who are passionate and dedicated to curing lymphoma. Working together is the way that we will make progress most rapidly. We are a collaborative group, and the Lymphoma Research Foundation provides a venue to connect with others who share this mission. What advice would you give to someone recently diagnosed with lymphoma? I always encourage patients to educate themselves about lymphoma, given the complexity of the disease and the fact that there are roughly 100 different lymphoma subtypes. I also advise patients to consider having a second opinion with a lymphoma specialist who has a clinical and research focus specifically in lymphoma, in order to have access to the latest in medical knowledge and emerging treatment strategies. Finally, I suggest that patients focus on management strategies that will both improve their survival (how long they live) and their quality of life during that time. These goals should be at the heart of every disease management decision that is made throughout a patient’s course.